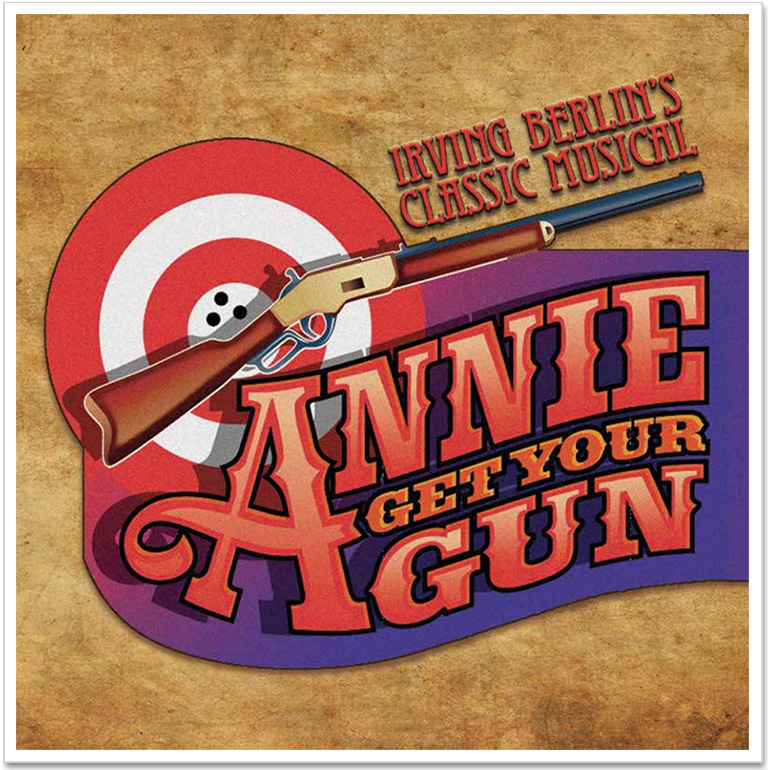 This Tony Award winning musical romp is a much adored funny, and feisty, look at the adventures of sharp-shooting country girl, Annie Oakley, as her natural skills with a gun ultimately makes her the star of Buffalo Bill's Wild West show. What's good for business is not always good for romance however, and Annie soon eclipses her love, Frank Butler, as the main attraction of the show. Frank joins a rival show, until these two lovers are pitted against each other in a shoot out. The rousing, surefire finale hits the mark every time in a testament to the power of female ingenuity. The show features musical favorites "They Say It's Wonderful", "Anything You Can Do", "You Can't Get a Man with a Gun", "I Got the Sun in the Morning", and "There's No Business Like Show Business."